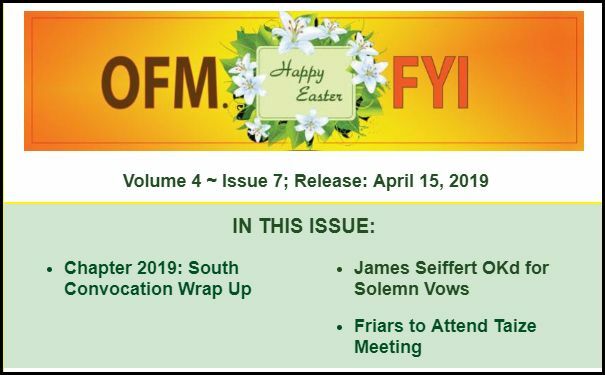 OFM.FYI, the bi-weekly newsletter of the Franciscan Friars Province of Saint Barbara, is published twice each month. 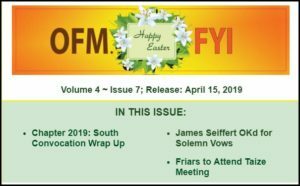 It brings you news from across our province and about our friars and their ministries and lives. Editor: Charles Talley ofm. Layout: Kevin Murray.